What do I mean by updates for your configurator? There are many relevant types. For example, when your browser version changes this affects processes on your site. In some cases, upgrades to your website or product line causes changes on the other processes on your site. Each upgrade needs to be taken into account how it affects your product configurator. Let’s say you made a great savings by hiring the offshore guy. You have your product configurator finally. And now it doesn’t work. Now what? Software needs updates. There’s no escaping this fact. You’ll want to make sure that your configurator will be supported whenever you need it. The last thing you want is that the the product configurator that you spent so much time and money on doesn’t work with your new website. To top it off, the offshore guy you paid to develop it is nowhere to be found. If the product configurator was done inhouse, Does your IT staff have time for updates? Keep in mind that the team you worked with to develop the software may not always be there. Oftentimes there are huge turnover issues with offshore IT teams. All of the skillsets and learning that went into development of your software can be lost quickly if one member of the offshore team leaves. In other words, the stability of a key web tool for your business is dependent on whether or not an offshore team member leaves or not. Another aspect to be considered is the time involved in building and developing the offshore team for your product configurator. 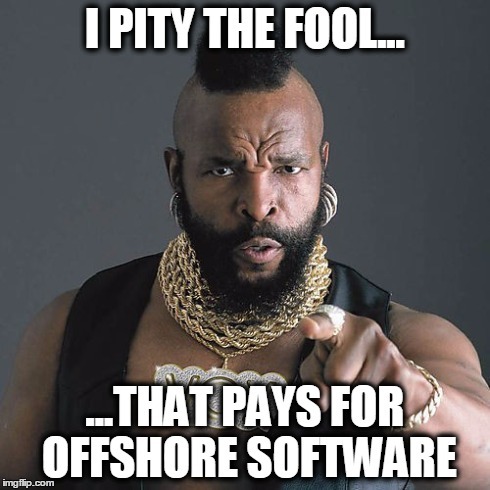 Do you have the time available to develop another offshore team? Having a reliable source for updates is crucial. Product configurators are designed to engage buyers emotionally and convert them to a sale. If your product is down because it needs updates, you are not engaging customers and converting them to a sale. In many ways this is similar to a car purchase. Imagine for a moment you bought a car from an unknown manufacturer. Afterwards, the manufacturer closed up shop along with the services centers and support. No spare parts, nothing. Your investment becomes unserviceable and worthless. Would you do the same for tools to make your business successful? Product configurators are a major online trend. Buyers will expect to be engaged with a customization experience. Tapping into this trend requires a considerable investment of time, effort and money. While the temptation to go with offshore or proprietary development might be tempting, in conclusion this route is pennywise but pound foolish. Make sure your product configurator has the right development team, has a great UI and has consistent support. Next story So What’s All This Hype Over Customization? ?